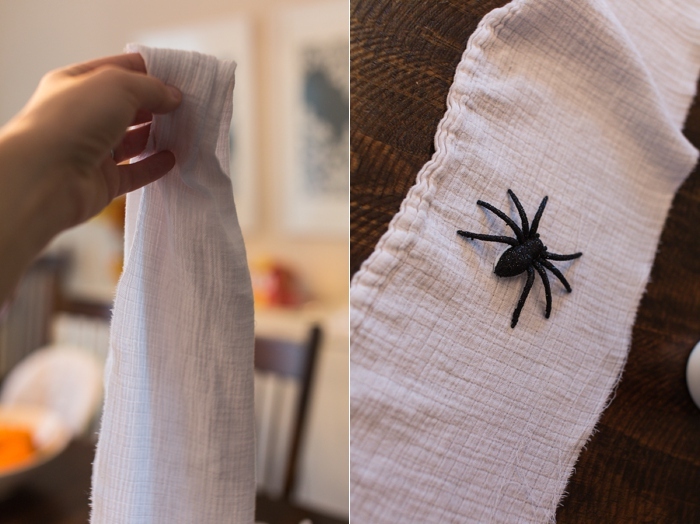 This Hallowe’en, I’ve been on the lookout for crafts/decorations that Robin, at age 3, can help me with. 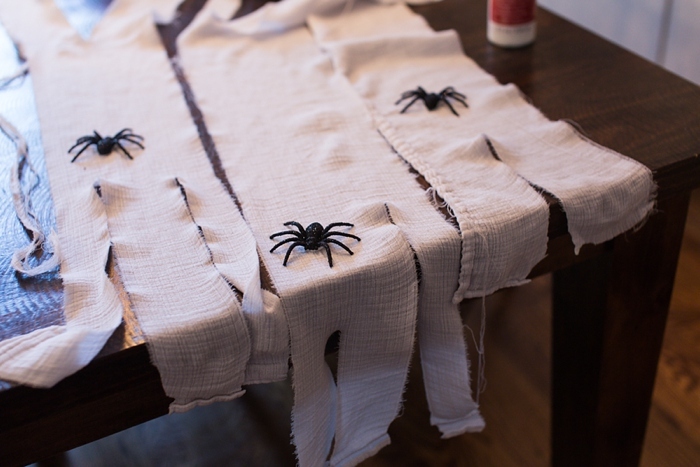 Inspired by the window display of Pottery Barn, we decided to make our own spooky spider webs. 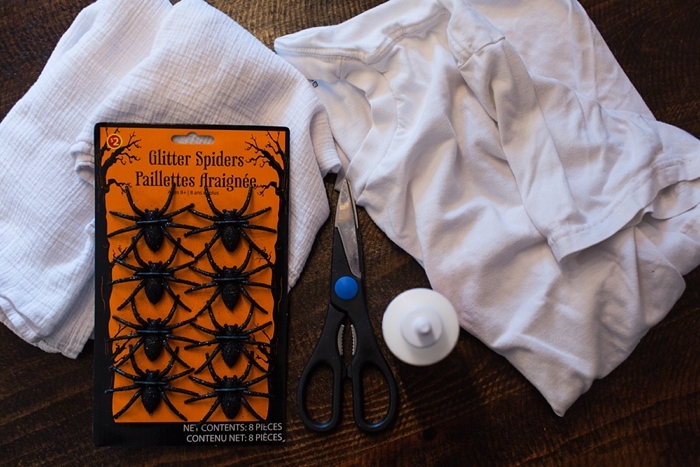 You might just have everything on-hand to make this creepy, crawly Hallowe’en decoration. And if not, a quick trip to Walmart or the dollar store and you’ll be set. 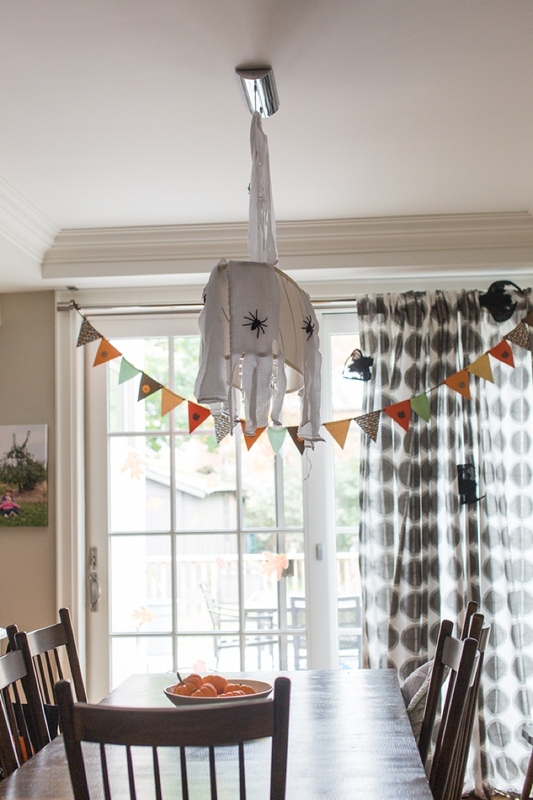 Step 3: Place strategically over light fixture or object! 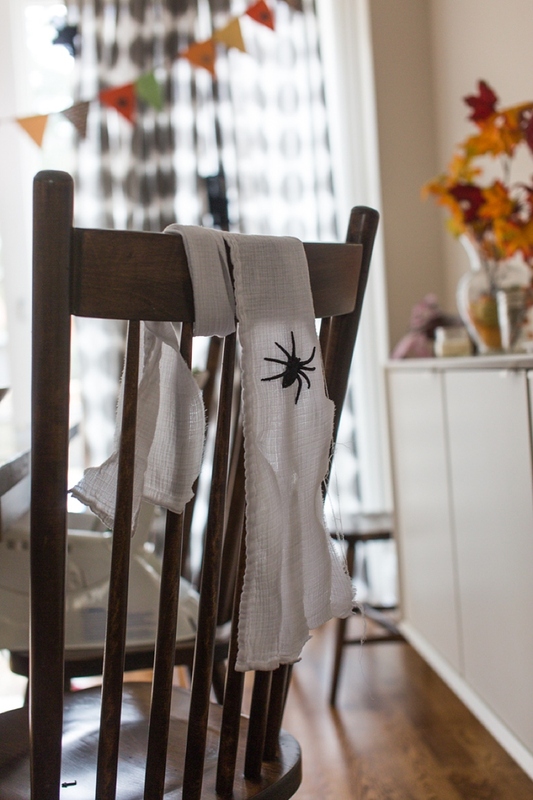 Ideas include: chairs, curtain rods, stair bannisters, door knobs… the list could go on for awhile.